Simply looking for the cheapest item, from the quickest source, may cause more damage than you think. Here are 5 things to think about when you are getting ready to start a promotional campaign. 1. Does your branded merchandise representative care whether you are in business next year? Make sure they have your best interests at heart. If they don’t value your brand as if it were their own, you may want to search for a different consultant. Your representative should be concerned about your logo, what your brand stands for and what message you are wanting to tell with this custom gift. Only after that should an item be selected. 2. What type of training has your consultant received? Do they have additional certifications? Are they familiar with the Consumer Product Safety Improvement Act? Are they actively connected to colleagues and resources to help them along the path? It’s not really about how long they have been in this profession, it’s more about how they will protect you, your brand and your customers. 3. If you do order online, you’re the one making all the decisions. How can you be sure that you’re making the right decision? The decision that will bring you the most Return On Investment. The decision that will stay in your customer’s hands for a long time. If you speak to a customer service rep., at best they may only be interested in selling you an item that is the best profit generator for their company. It may not reflect your brand image effectively. A bad promotion is always worse than no promotion! 4. Is the product you’re buying safe? Has it gone through rigorous testing? Are you selecting a product made in a factory that treats its employees well, and one that is concerned about its environmental impact? Some manufacturers adhere to a Code of Conduct, along with constant inspection, and some do not. You will not know which is which if you simply select an item online. 5. If you are choosing items that will be used by children, have they been certified through the Consumer Product Safety Commission and how do you know? Products that are intended for children 12 and under must meet specific requirements, especially in the area of lead content of the product. Even decorated apparel must individually be tracked for adherence with both the garment and the exact decoration. And the apparel must reflect the tracking number of that certification. 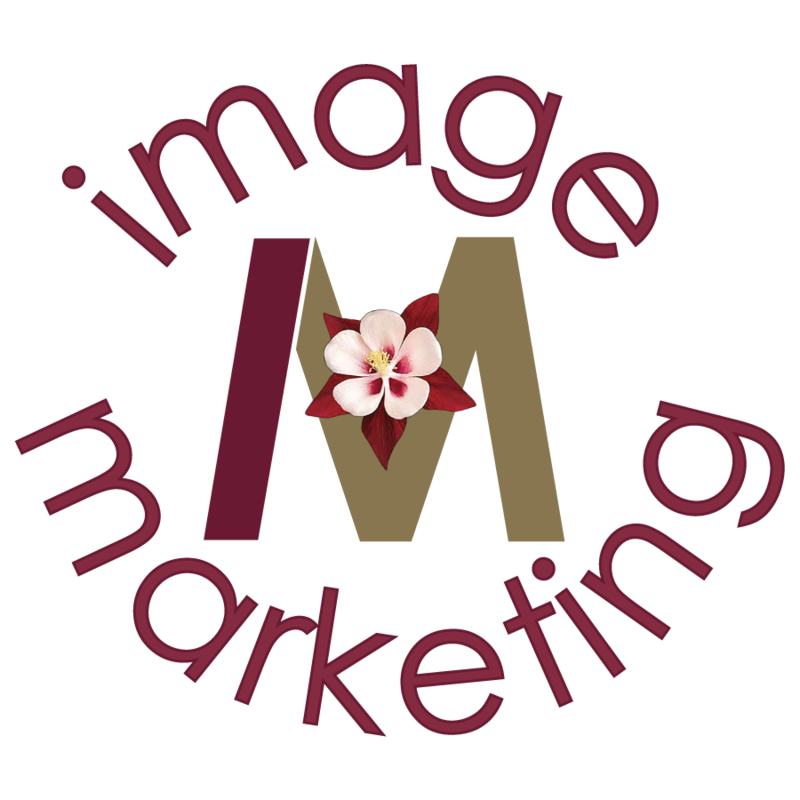 Image Marketing Specialists is more than qualified to assist you in all these areas. We are a Certified Advertising Specialist, and have recently been awarded our status as a company who is Product Safety Aware. Only about 10% of the professionals registered with Promotional Products Association International carry this designation. It is a long, involved process to achieve. And it comes with the obligation to life-long education. The purpose really is to protect you and the recipient of your custom decorated gift. Our Company believes we must meet the highest ethical expectations of our customers and consumers. To that end, we have adopted standards for the quality and safety of the products we sell, and we are committed assuring that our manufacturing processes respect the rights of individuals and protect the environment. Ethical Behavior. Our suppliers are expected to conduct their business in accordance with the highest ethical standards and will strictly comply with all laws and regulations on bribery, corruption and prohibited business practices. No money, assets, gifts, fees, bribes or compensation of any kind may be given to our employees or our affiliates’ employees in an attempt to unduly influence such person’s decision making abilities. Our adoption of this Commitment to Ethical and Responsible Conduct Policy expresses our sincere commitment to the principles expressed. It is our guide to conducting our business decisions and relationships. However, by adoption and application of these business philosophies, we do not waive and expressly reserve all our rights granted us under applicable law. While there is obviously no such thing as a blueprint for success, there are a number of key points that entrepreneurs should take into consideration. 1. Never neglect your target market. Immersing yourself in your user base from the very beginning will pay dividends. Time spent learning to empathize with the customer and really figuring out what makes them tick will help you target with a laser-like focus. Innovative companies are often guilty of trying to execute on a big vision that is too all-encompassing for the user to fully engage with. 2. Don't try and reinvent the wheel if you don't need to. The internet has democratized access to all kinds of information, and if a successful process or structure exists for a non-core element of your business, use it. This can be anything from administrative office functions to technical elements on the periphery of your central business proposition. If an effective solution exists, then chances are it will not add value to your business to develop it from scratch. 3. Have a solid business model from the very beginning. Have a clear idea of the value you are creating, how you are going to capture it and how you will be able to protect it. Having clarity from the outset will provide a marker of ongoing success —or not— and allow you to make strategic business decisions accordingly. Many Silicon Valley businesses do not take this into account until a lot of resources have been expended, taking themselves in the wrong direction and forcing an otherwise unneeded late-stage pivot. 4. Don't be afraid to learn from your predecessors, competitors and similar businesses. You do not need to fail to gain a learning experience. I hightly recommend learning from others' failures rather than your own. Be careful: Learn, don't mimic. Success comes from applying judgment, which is drawn from experience — yours and others'. 5. As hard as it may be, try to separate your natural emotion from your business concept. You should be passionate about your venture and comitted to it, but it is easy to fall in love with your idea and ignore the signals from the market and the views of others. Your decision on how (and whether) to take [a product, business, service] to market needs to be founded on research and data. Too many times in Silicon Valley we have seen businesses launch that should have been altered or even killed in the planning phases, purely because a besotted and charismatic founder pushed them through. This is a recipe for failure. 1. We are locally owned. You will be supporting a community member who is a sole-proprietor. 2. The personal service. Rather than connecting with a random call-center employee, at Image Marketing Specialists you will be working directly with the owner of the company. 3. We look for ways to make you successful. With nearly one million already-made promotional products available, and countless custom manufactured items, there will be an appropriate solution to your marketing dilemma. 4. We want you to be happy with your promotional products and will work diligently to make certain the product you buy is of good quality and in good working order. We try to ensure that everything is acceptable before the order is placed, that's why we insist on vector artwork, virtual proofs and sign-offs for the project. 5. We keep your logos on file for a long time. After 25 years in business, most of the artwork created by us or given to us is still accessible. 6. We are full-service by offering planning, product, logo design, distribution, and evaluation. 7. We are educated. Image Marketing Specialists holds the designation of Certified Advertising Specialist (CAS) through Promotional Products Association International, which requires numerous classes and intensive testing. It also requires ongoing classes in order to keep the designation. Only 10-15% of our colleagues hold this level, or higher, designation. Topics of study have included product quality, decorating techniques, graphic design, and in-depth training on the Consumer Product Safety Improvement Act for child-related products. 8. Our work is on display so we will do a better job. Not only is your reputation on the line, so is ours. We want to do the best possible job for you. 9. We know the community: what's coming up, what other people are doing, what your customers want. 10. We ask the tough questions, even when you come to us with an idea. We want to make certain you are selecting the most appropriate item for your brand, for your theme, for your customers, and for your budget. As a marketer, I'm always evaluating trade shows and sponsorship packages to determine how to spend my marketing promotion dollars in the upcoming year. Trade shows play an important role in my business as they do in yours. These events provide a platform for building your company’s brand equity, showcasing thought leadership and of course, bringing in the sale. Contemplate these six reasons for allocating some of your marketing dollars to sponsorships. 1. Put your business in the spotlight. Having a presence at a conference or business event positions you and your business as an authority in your industry. You gain respect and credibility by standing out from the pack of attendees and prominently displaying your products and marketing materials. Instead of just attending an event and looking for people with which to share your business card, sponsorship brings attendees who are eager to find out about your business directly to you. 2. Get in front of your target market. The show’s organizers are spending time and money marketing the event to your target audience and bringing these attendees into the room. Your job is to come prepared to take full advantage of this opportunity by making sure to create eye catching, professional signs, marketing materials and product displays that draw attendees to you. 3. Focus on lead generation and new contacts. Be sure to have some sort of lead generation system in place the day of the event. People will give their business cards and email addresses in exchange for a chance to win a great prize in a drawing, samples or even candy and other promotional item giveaways. And definitely, early in the planning process, give thoughtful consideration to the promotional item you want to hand out during the event. 4. Get your brand noticed. Being featured in the program book of the event, having your logo on the event’s website and adding a promotional product to attendee gift bags are all great ways to leverage your sponsorship and get brand recognition. 5. New clients and new customers mean business. Not only are the attendees of the event potential new clients and customers, so are your fellow sponsors and vendors. You can form new business partnerships at events and meet like-minded business professionals in complimentary businesses with which you share the same target market but are not in competition. Messaging is an important part of branding. Your marketing messages must capture your audience’s attention and compel them to action, whether they’re shopping in the store, browsing on your web site or recommending your product to a friend. And yet even the most seasoned marketers sometimes struggle to develop effective messaging. Here are five common reasons why messaging fails, and tips for avoiding these mistakes. Too often, marketers orient messaging around what they believe to be the most important features of their product or service, instead of looking into what’s actually important to target customers. Take the time to understand your customers and their values, then align your messaging accordingly. One way to get insight into customer values is to ask them to complete a short survey, either in your store or online using a service such as SurveyMonkey. If your primary interaction with customers is in-store, you could even load up your online survey on an iPad and ask people to take the survey at the point of check-out for an instant discount. Everyone wants to be part of a major trend, whether it’s being a “big data” company, a “slow food” restaurant or a “mompreneur.” The problem with relying on these buzzwords to define you is that the more popular they become, the less impact they have. People begin to simply tune them out. This doesn’t mean you can’t use popular category phrases at all. Just use them sparingly, and pair them with words that differentiate you and pack a unique punch. Many companies rely on word-of-mouth to drive business. Is your messaging “portable” enough for these customers to easily spread the word? One way to check is to try boiling your messaging down to just one or two sentences, creating the same type of “logline” Hollywood uses to sum up a movie or TV plot (such as “A young man and woman from different social classes fall in love aboard an ill-fated voyage at sea.”) If you can’t tell your story in 50 words or less, chances are your customers won’t be able to, either. Once you’ve got your logline, go back through your marketing copy and make sure these simple messages come through loud and clear. You can also use the logline itself in your marketing materials, on your web site and social media properties, and in conversations with customers and prospects. You know that sensation of arriving home after a short drive and not remembering any details of the drive? Much of our life is spent in this “auto-pilot” mode, making decisions based on our habits, emotions and gut instincts. It’s up to you to wake people up and inspire them with your messaging –- so infuse your language with as much excitement and energy as possible, and use action verbs rather than the passive voice. This mission statement is likely suffering from “whiteboarditis”: the inflammation that occurs when someone crams everything from the whiteboard into one sentence. (It may also have a case of groupthink, in which fresh concepts surfaced by the team got boiled down into familiar jargon out of the need for consensus). Your messaging shouldn’t sound like it was fused together in a lab. While it’s valuable to get multiple opinions, don’t fall into the trap of trying to please everyone in the room. Stay true to your audience’s values, be authentic and communicate in straightforward terms. By the way, even Fortune 500 companies make these mistakes –- check out this list of Fortune 500 Mission Statements and see which ones you think miss the mark. It’s worth noting that some of these have already been improved since the list was created. 1913 Launching an Icon: The U.S. Navy issues crewneck T-shirts to be worn under uniforms. An American icon is born. 1920 Making the Big Time: The word "T-shirt" is officially added to the Merriam-Webster Dictionary. The definition of T-shirt is a collarless short-sleeved or sleeveless usually cotton undershirt; also: an outer shirt of similar design. 1938 Only 24 Cents: Sears introduces a T-shirt for less than a quarter. Known as the "gob" or sailor shirt, it is proclaimed to be either an outer garment or an undershirt. 1942 On the Cover: The Air Corps Gunnery School logo is featured on one of the earliest printed T-shirts for the July 13th cover of LIFE magazine. 1948 Politics: New York Governor Thomas E. Dewey's campaign presses "Dew-it-with-Dewey" for the 1948 presidential election. 1950 The Mouse: Following the popularity of Mickey Mouse, a Miami-based T-shirt company, Tropix Togs, purchases the exclusive rights to print the figure on a shirt. 1951 Hollywood Bound: The T-shirt gains popularity as an outer garment after hearththrob Marlon Brando wears one in A Streetcar Named Desire. 1962 Marilyn: Andy Warhol's famous print of Marilyn Monroe popularizes screen-printing in bright colors. 1977 Have a Heart: In an almost eureka moment, designer Milton Glaser sketches "I (Heart) NY" on a napkin and the logo apears on T-shirts soon after. 1978 Customization: Iron-on transfers allow graphic images to make custom T-shirts on the spot. Sports teams, corporations and bands realize the power of custom T-shirts. 1990 Rocking Out: Inspired by grunge rockers, men wear old, unbuttoned flannel shirts over faded, un-washed T-shirts. This quickly becomes the fashion trend of the '90s. 2011 Breaking Records: Gildan takes the title for the wold's largest Tee. The 281-foot by 181-foot T-shirt is displayed in Nashville on June 11th. What's Considered a Large Quantity? Over the years, I've come in contact with several business owners who have asked why the cost of a custom printed garment is so expensive. They only need 1 or 6 or 10. I've also had prospects tell me they would "throw me" a large order of 24 pieces because I was a small business owner or a local business owner and they wanted to show their support. As is my practice, I provide price options before actually performing the work. That's when the education begins. So, what goes into the cost of a completely custom garment? First there is the artwork. It doesn't matter whether I create those graphics or whether another graphic artist creates the graphic, there is some cost involved. Even if it is typing simple words, it takes time and resources to make this happen. Next is the garment. Despite popular belief, I do not weave nor manufacture tshirts in my office. I get them from the well-known manufacturers, and it costs money to have them sent to me. The final, and most complicated part, of this process is the imprinting of the image on the garment. There is a cost to get the artwork on to screens used to print on the garment. If there are multiple colors in the artwork, each color will have to be applied separately and dried in between applications. Therefore, there are additional costs for this complete process. In the case of screen printing, if there are less than 24 pieces being printed at one time, a less-than-minimum cost is attached because it takes time to set up the presses and that cost is usually averaged within a larger order, however it needs to be done each order and that is a per-job cost rather than a per-piece cost. When printing small quanities, that cost must be recovered, thus the additional fee. If the art is to be embroidered, the art needs to be converted from a traditional computer file into a file that the sewing machine can read. The cost is based on the number of stitches within the image. In the end, you have a completely custom item that was designed just for your use. And when you only have a few items, the cost of a basic tshirt can definitely be much more than buying a generic tshirt off the shelf. However, when all these costs are averaged, it's easy to get to a lower per-piece cost when the quantity is much larger. I have seen many instances where the difference in total cost is only $50 when the order amount is doubled. It could easily reduce a dozen shirts from $25 each down to $15 by ordering 36 pieces. With all the setup costs involved, a single tshirt could cost $75. And it is in your best interest that I then ask, "why only do a few, when you can have many walking billboards?" Is a single shirt, only for your use, the most cost-effective way to spend your advertising money? Ultimately, for the work that is involved, much larger quantities than 24 or even 36 are considered large orders. If it is a garment, 144 is a medium order and 1000 or more is considered large. The same could be said for drinkware. But when it comes to other types of promotional products, 250 to 500 pieces is a small order, 1000 to 2500 is a medium order, and 5000 and above is more in line for a large order. This is how a tshirt is produced for $3 and a good quality pen becomes 20 cents a piece. I want to help you get the most bang for your advertising dollar. So please don't think I'm rude or intrusive when I ask questions and/or encourage you to buy a larger quantity of items. I'm simply thinking about how much further we can go to get you more business. Writing Instruments: Are They Outdated Marketing Tools? Even though pens may be used less frequently because of technology advancement, they remain a must-have item in eveyday life. You'll still need them for writing a Christmas card, or for filling out a form, or to sign for a document. So technology has not rendered the pen useless so much as it has simply shifted the pen's primary uses. According to Promotional Products Association International (PPAI), Advertising Specialty Institute (ASI), and even a BBC News article, writing instruments remain the second best-selling promotional product, behind apparel. In fact, PPAI shows that it has come in second place consistently since 1993. While the technology of tablets and smartphones has exploded, the pen industry did not sit idly by. It stayed on top of the new trends. Now all manner of tech-friendly pens are available, including stylus-tipped offerings that bridge the gap between the old-school and the new. In years to come, even the flip phone with push keys will be obsolete, so a pen with a stylus is a must. Other types of pens include invisible-ink and check-guardian pens that protect against fraud and identity theft, plus multiple function pens that incorporate L.E.D. flashlights or laser pointers. And there are pens to fit any budget and promotional program. Did you know that 60% of people still use a pen 6 to 10 times per day? 73% keep a pen with them at all times. And 79% of people use the promotional pen that they received from a business. The cost can be quite economical. As low as $0.000436 per impression. Who can use pens? Industries that come to mind include banking, insurance, advertising, retail, educational, medical, restaurant, military, law enforcement, attorneys, corporate, artists and designers, tradesmen. Have I left anyone out? Maybe, but a use can likely be found for those industries as well.